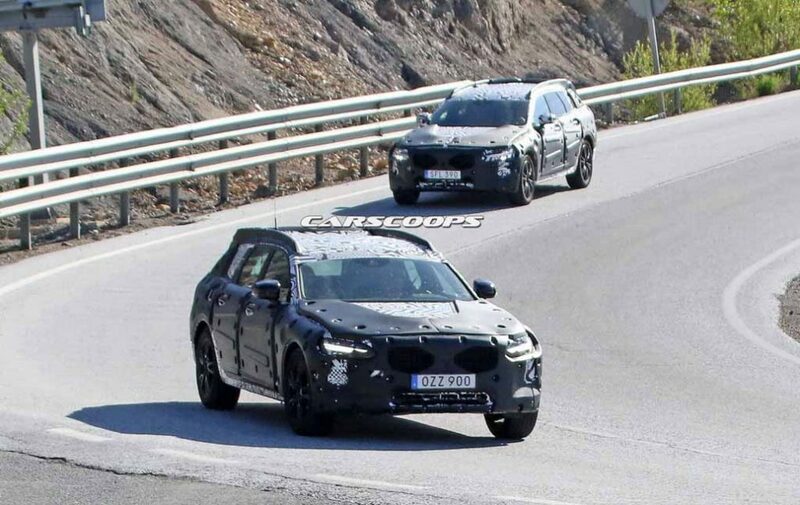 A couple of test mules of the 2018 Volvo V90 Cross Country have been spotted testing in Southern Europe. 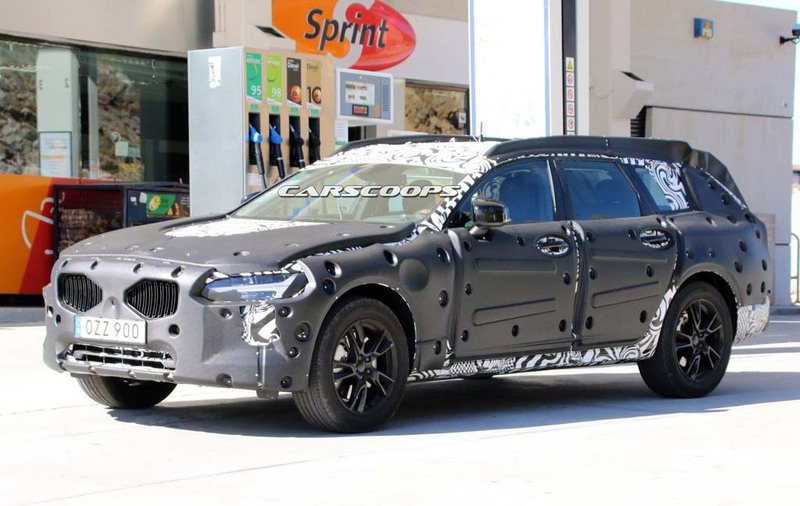 Although the new V90 Cross Country was heavily camouflaged, but the beefy revised bumpers, sharper roof rails and the body cladding can be visible. As it seems the car would sport a muscular chunky appearance. Additionally the new V90 Cross Country gets raised ride height and retuned suspension set up which makes it a soft roader. The estate sports Thor’s Hammer designed LED headlamps placed in the sharp headlamp clusters. The vertically slated front grille also looks aggressive. The front bumper, hood up front, side body is expected to come with heavily revised attempts. So far, the car would sport a crossover like appearance. The power source for the luxury estate will be the engine available under the hood of the regular V90s. The engine options include a 2.0 litre turbocharged four cylinder D5 diesel engine which is capable to churn out 235 PS of peak power. On the petrol front the car will sport a 2.0 litre four cylinder turbocharged T5 engine which pumps out 320 PS of peak power. The all new V90 Cross Country would come available in both the front wheel configurations and All Wheel Drive (AWD) configurations for all the markets across the world. Expect the car to be unveiled officially in 2017. The transmission in the standard V90 is done by a 6 speed manual gearbox and an 8 speed automatic gearbox. Both these transmission options are expected make their way into the upcoming V90 Cross Country. A major change in the Volvo V90 Cross Country is the suspension set up and riding quality. The car would come with an additional 2.5 inches of extra riding height. The car will come built on the same Scalable Product Architecture or SPA platform which is the home for the XC90 and the S90 as well. 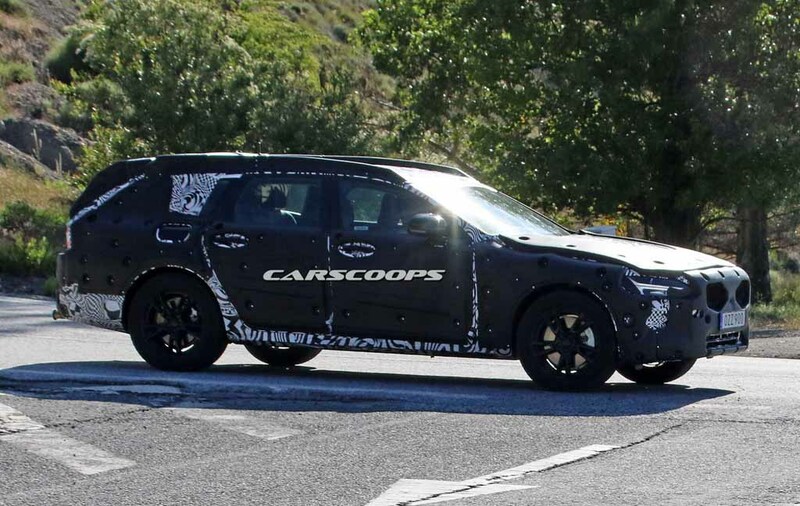 Once launched, this car will take on the rivals like Audi A6 AllRoad and Subaru Outback.